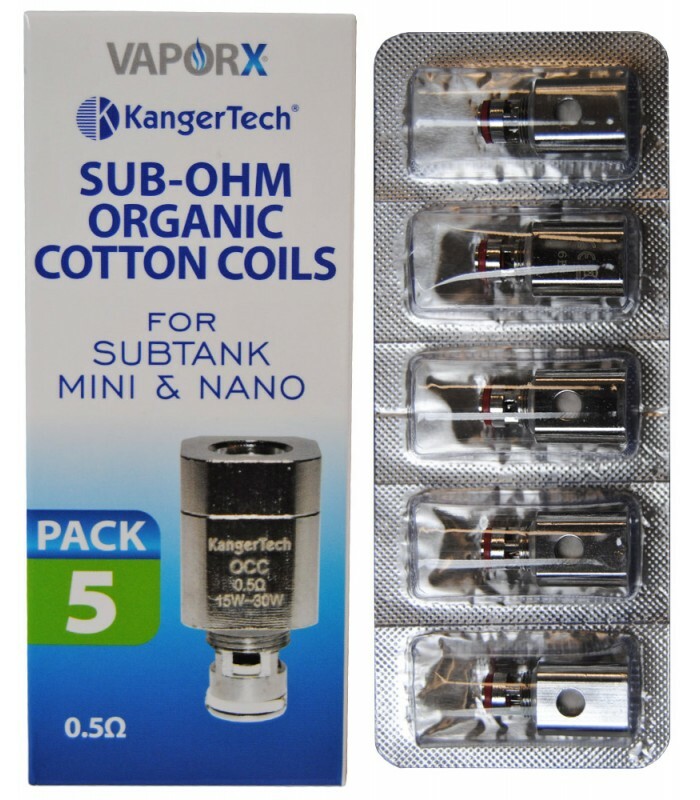 SUB-OHM, 0.5 OHM - organic cotton coils by KangerTech is an incredible line of atomizer heads. 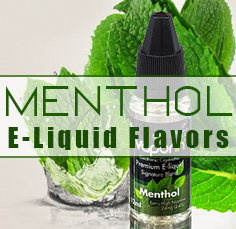 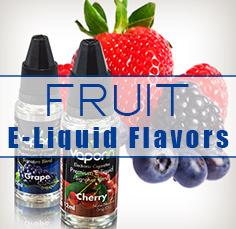 These replacement heads are built with high-grade stainless steel alloy that last longer than standard Kanthal resistance wire and Japanese organic cotton wicks that produce a much cleaner/flavorful vape for your favorite e-juice. 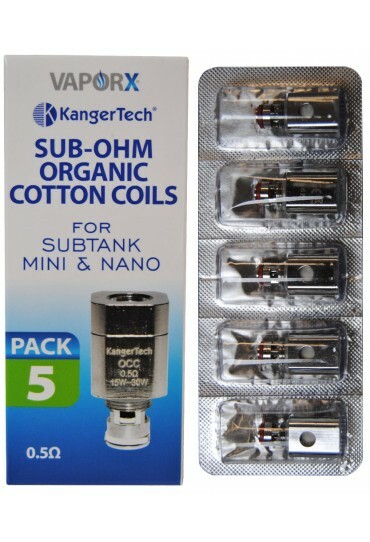 Kanger Subtank series tanks (nano,mini) plus the new NEBOX/SUBVOD kits are all compatible with these set of coils. 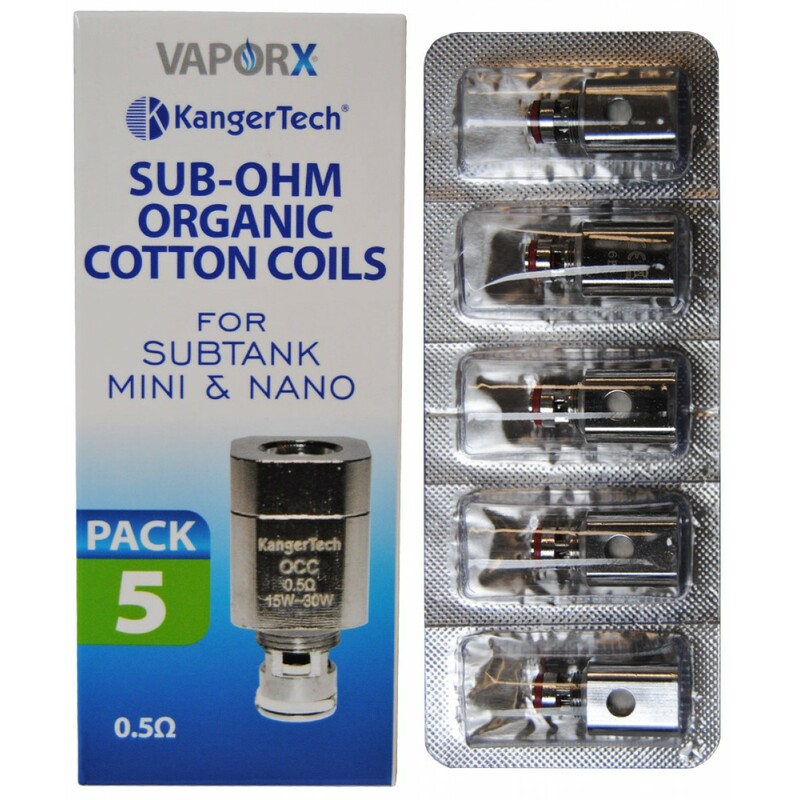 The SUB-OHM OCC (organic cotton coils) by KangerTech is an incredible line of atomizer heads. 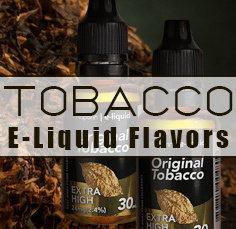 These replacement heads are built with high-grade stainless steel alloy that last longer than standard Kanthal resistance wire and Japanese organic cotton wicks that produce a much cleaner/flavorful vape for your favorite e-juice. 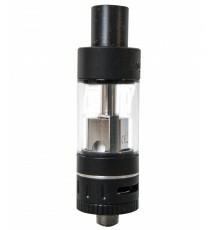 Kanger Subtank series tanks (nano & mini) plus the new NEBOX/SUBVOD kits are all compatible with these set of coils.